October 1st kicked off this year’s Eat Like A Local Restaurant Week in Sarasota. This year is Dine to the Nines featuring almost fifty of Sarasota and Manatee county’s favorite locally-owned restaurants in Bradenton Beach, Sarasota, Siesta Key, and surrounding areas. If you haven’t participated in this event yet, you haven’t missed out. This event continues through October 14th. 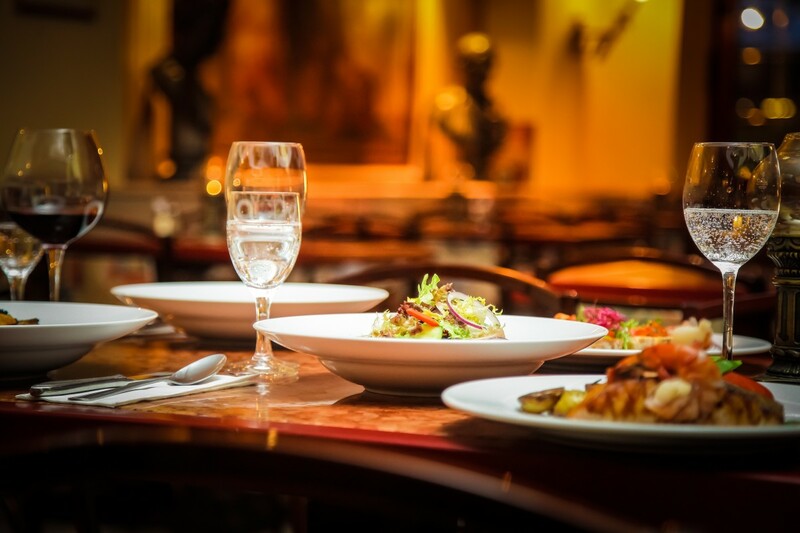 You still have time to try out a new restaurant or simply enjoy an already established favorite at the specialized pricing they offer. Every restaurant offers a two or three-course meal. Each dining experience has crafted an event menu featuring foods that exemplify their specialties and distinguished dishes. Here are just some of the restaurants in Bradenton, Sarasota, and Venice that are participating in this event. This Sarasota favorite has a menu and environment inspired by French and South African heritage. Using local ingredients and sustainable food when available, the Bijou Café is offering a $19 lunch menu that starts with a soup or salad first course and has unique and delicious choices for the entrée. They are also offering a three-course dinner at $39 that includes choices of escargot and lamb. Remember to save room for dessert because for this price, you end the feast with a sea salt caramel pear tart. This fine-dining restaurant uses flavors from Southern Europe to enhance their menu. The staff here pulled together a three-course dinner menu for $49 that contains choices of shiitake mushroom and roasted butternut squash just for the first course. Whether you’re a seafood or a land-food lover, you’ll be pleased with the choices on this menu. End with either a piece of chocolate cake or a pistachio cannoli for dessert. Even though beverages are not included in this price, you may want to take a look at Element’s wine list since they won the Wine Spectacular Award of Excellence for 2018. If you want to enjoy some amazing Asian cuisine at the best price you can get, come down to this week for a $19 lunch. Start off with a soup or a salad. Then, enjoy an entrée of wagyu beef, octopus, tuna, or salmon dishes. Those are just a few of the several choices Jpan offers at this special price. However, if you’re looking for even more choices, opt to attend their $29 dinner that offers those options as well as scallops, sea urchin, and green tea ice cream. Always a favorite of the Eat Like a Local event, Pier 22 is participating again this year. They have a $19 lunch menu and a $29 or $39 dinner menu. All menus contain mussels, brisket, and calamari. Although the lunch menu offers unique dishes such as avocado toast and cashew chili, you might want to visit during dinner for this one. The second course has many delicious options, and you get to choose one of ten culinary masterpieces for dessert! You may have also heard this restaurant affectionately called “MJ’s” by the many who frequent this local establishment. The atmosphere here will make you forget that you’re not related to everyone in the building. With its French-American cuisine, Michael Johns has created a $39 dinner menu to satisfy every craving. Included on this menu is wine along with salads and your choice of filet mignon or salmon. Top that off with either crème brulee or a delicious French pudding for dessert, and you’re sure to get your fill of great food in a welcoming atmosphere. Although you can find one of these in a few different locations, only the landside location is participating in this event. Head to 14th Street West to enjoy the rare $9 lunch menu! You’ll begin with your choice of soup or salad. Then, choose one of the seven entrees including sliders, flounder, shrimp or chicken. If you need more, check out the $29 dinner menu. This adds choices such as pasta, oysters, ribs, and fresh fish of the day. Good luck deciding on dessert with three different pies and two kinds of cake as your options. Bask in the gorgeous waterfront views where you can enjoy dining indoors or outdoors in a casual environment. With a $19 lunch menu that includes soup or salad, salmon or grilled vegetable risotto, and key lime pie or Mississippi mud pie, it’s difficult to imagine how this menu could get better. The $29 dinner menu includes ravioli, shrimp, pork, or duck options as well. For an even better experience, visit Thursday, Friday, or Saturday night and appreciate some live music with your meal. At Cassariano, you have the opportunity to experience true Italian food in an authentic atmosphere. The founders of this restaurant brought their dishes all the way from their home in Nothern Italy. This week, check out their $29 dinner menu featuring salmon, ravioli, and pork tenderloin just in the entrees. Don’t fill up too fast. You don’t want to miss out on your choice of lemon tart, tiramisu, or pannacotta. This restaurant won’t just satisfy your hunger. It will also put you in the mood to go panning for gold. With a gold mining theme that includes rocks and mining supplies, don’t be surprised if your meal is served to you in metal gold miner pans. During Dine to the Nines this immersive themed restaurant has a $19 lunch and dinner menu that starts everyone off with a house salad. From there, you have to decide between ribs, chicken, pork, or beef. Then add in some sugar with either key lime pie or home-made brownies. Check out the full list of restaurants participating in this event, keeping in mind that some of the restaurants require reservations while others don’t accept them at all. Get your fill before October 14th of eating like a local during Restaurant Week in Sarasota, where the dine to the nines gets you prix fixe menus for lunch and dinner! Join 941area to stay connected to dining in Sarasota. Best of all, it's free!